Aaron Doran scored his first professional goal as MK Dons eased past Southend 2-0 in the JPT Trophy. 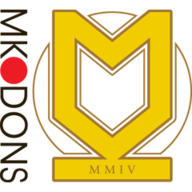 Debutant Aaron Doran scored his first professional goal as MK Dons eased past a lacklustre Southend 2-0 and into the quarter-final of the Johnstone's Paint Trophy. The on-loan Blackburn winger, 18, set the Dons on their way with a cool finish before Mark Carrington made the game safe on the stroke of half-time. Milton Keynes were in total command from the start and Doran raced clear onto Aaron Wilbraham's pass to slot the opener past goalkeeper Steve Mildenhall in the 18th minute. Carrington doubled the Dons' lead in the 45th minute when he ran onto another defence-splitting pass from Wilbraham and confidently fired home his second goal of the season. Only a brilliant display of shot-stopping from Mildenhall after the break prevented a rout as he acrobatically denied Jemal Johnson four times and kept out Dean Lewington's header, while Wilbraham hit the crossbar. 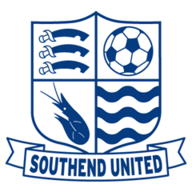 Southend did not have a shot on target in the entire match, with a long-range Franck Moussa strike that whistled wide in the 26th minute their only real attempt at goal.